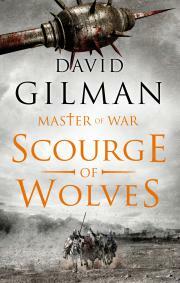 Lovers of action-packed historical fiction can rejoice – the fifth instalment of David Gilman’s acclaimed MASTER OF WAR series is released in digital form by Head of Zeus today, just in time for Christmas, with the hardback set to follow in February 2018. Gilman’s series featuring Thomas Blackstone (English stonemason turned archer and knight) has received widespread praise, with Robert Fabbri (author of the Vespasian series) describing it as ‘A gripping chronicle of pitched battle, treachery and cruelty.’ Sharon Penman described Blackstone as ‘an incredibly appealing and sympathetic character’ and declared herself ‘bedazzled’. SCOURGE OF WOLVES continues Blackstone’s story in the winter of 1361. After two decades of conflict, Edward III has finally agreed a treaty with the captive French King, John II. In return for his freedom, John has ceded vast tracts of territory to the English. But for five long years mercenary bands and belligerent lords have fought over the carcass of his kingdom. They will not give up their hard-won spoils to honour a defeated king's promises. 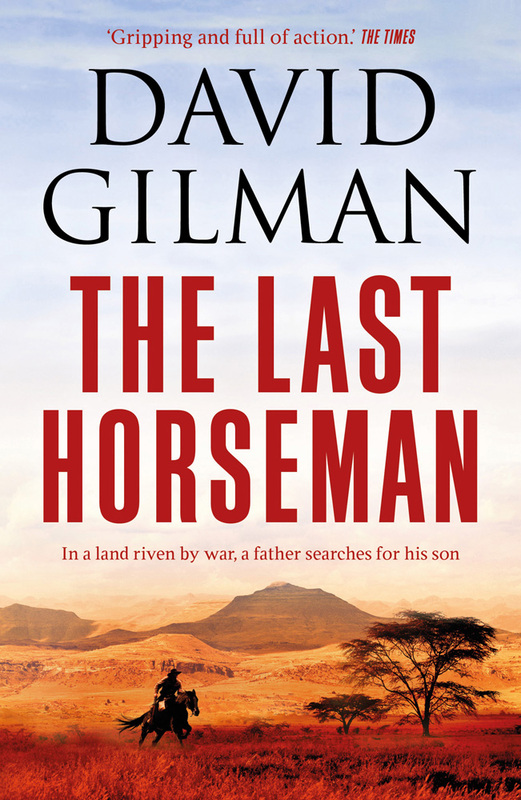 David Gilman’s riveting Boer War novel THE LAST HORSEMAN has been shortlisted for the Wilbur and Niso Smith Adventure Writing Prize. Established in 2016, the prize is an annual event celebrating the best adventure novels published in the last calendar year. The prize is open to writers of any nationality, writing in English. 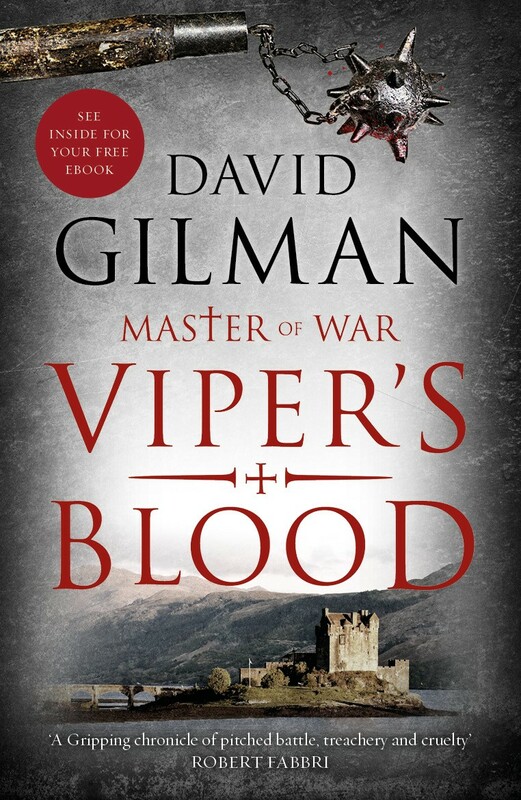 David Gilman is the author of the highly-praised MASTER OF WAR series (Head of Zeus), set during The Hundred Years War and sold in several countries around the world. Gilman’s standalone novel THE LAST HORSEMAN was described by The Historical Novel Society Magazine as ‘packed full of intrigue, adventure and excitement, while The Times said it was ‘gripping and full of action, but also smart and subtle about questions of loyalty and guilt in a war with few good guys.’ David has also written the DANGER ZONE adventure trilogy for younger readers, published by Puffin. The 2017 judging panel comprises: Steve Winter, award-winning National Geographic Photographer; Alex Crawford, Special Correspondent at Sky News; Kevin Conroy Scott, Literary Agent at Tibor Jones & Associates; and Corban Addison, bestselling author and winner of the 2016 Wilbur Smith Adventure Writing Prize. The £10,000 prize will be awarded at a ceremony at London’s Royal Geographical Society in September 2017. 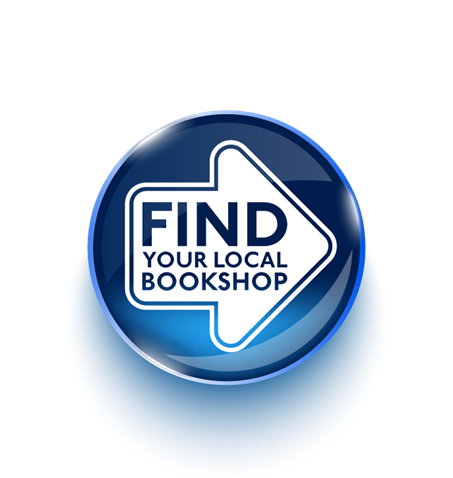 Established in September 2015, The Wilbur and Niso Smith Foundation is a charitable organisation dedicated to empowering writers, promoting literacy and advancing adventure writing as a genre. See more on David Gilman’s website here. GATE OF THE DEAD is the third heart-pounding instalment of David Gilman’s thrilling MASTER OF WAR series, historical fiction centred on the Hundred Years’ War. Published in paperback 8 September by Head of Zeus, GATE OF THE DEAD follows MASTER OF WAR and DEFIANT UNTIL DEATH in the gripping series the Daily Mail called ‘page-turning and gritty’. Tuscany, 1358: Thomas Blackstone has built a formidable reputation in exile, fighting as a mercenary amid the ceaseless internecine warring of Italy's City States. But success has bred many enemies, and when a dying man delivers a message recalling him to England, it seems almost certain to be a trap. Yet Blackstone cannot disobey – the summons is at the Queen's demand. On his journey, Blackstone will brave the terrors of the High Alps in winter, face the Black Prince in tournament, confront the bloody anarchy of a popular revolt and submit to trial by combat. And every step of the way, he will be shadowed by a notorious assassin with orders to inflict the maximum pain on his target before he despatches him to hell.